How could any human not be attracted to a term as alluring as “The Great Attractor?” If one studies the three Abrahamic religions (Judaism, Christianity and Islam), a common thread among them is their belief in “One God”, separate and distinct from us, but inextricably linked to us through “His” omnipresence and omnipotence. What if scientists could locate an unseen “attractive mass” with such great density that earth, our galaxy and all of the Local Group of Galaxies near our Milky Way Galaxy were heading towards it at a rate of 600 kilometers per second? What if it was big, unseen and had an attractive power that pervaded our “universal neighborhood”? Could that “Great Attractor” indeed be our long-sought God? Scientists and metaphysicians tend to see things in different ways. 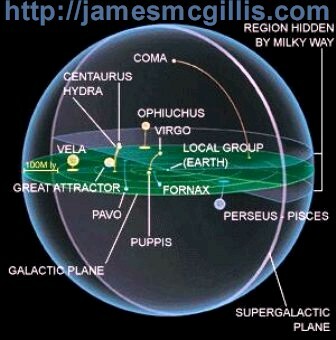 After researching the subject, we could not find a single scientist on earth who has "connected the dots" between “The Great Attractor” (yes, it is real) and the “One God” who is feared and worshiped by a large percentage of the earth’s population. Although it may be attractive to think humankind has finally located “God” right here in our own cosmic neighborhood, we offer a different hypothesis. In our Theory of Everything, we believe that the ancients had it right in the first place. Quite naturally, with the instruments and technologies of their times, each pre-Abrahamic culture saw the earth as the center of the universe. 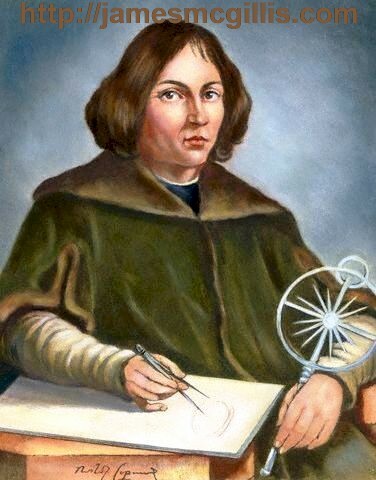 In 1514, Nicholaus Copernicus proposed that our Sun resides at a fixed point and that the Earth is a planet which, besides orbiting the Sun annually, also turns once daily on its own axis. Later, Galileo, Kepler, Descartes and Newton expanded on Coperincan theory and solidified the scientific method as the “right way of thinking”. As time passed, the great religions softened their own theories of creation, allowing for a “physical plane” and a “spiritual plane”. Earth was earth, heaven was heaven and mortal death was the only way to travel from earth to heaven. Once in heaven, there was no available “return trip” to earth. At death, the “game of life” was over, except for those who properly obeyed the rules of their chosen religion. Only those righteous and the holy ones received a grant of eternal rest in a non-temporal heaven. In those times of struggle, eternal rest seemed like a good deal and many sought that end. As a result of all this jockeying for position, both here on earth and in the cosmos, Mother Earth, or Gaia, as some prefer to call Her, became a proving-ground for the determination of which religion had a better line to the “One God” and what “He” wanted from us. The result was what we commonly call religious war. In order to get almost everyone into the fight, the righteous de-emphasized “religion” and we now have the simple and powerful concept of “War” as our rallying cry. War is now so popular that we have wars on poverty, drugs, drunk-driving, terrorism and teenage pregnancy, not to mention two separate “shooting wars” in Asia. Interestingly enough, the scientists of our home planet not only brought us the “right thinking” of science, but also a steady succession of new and improved weapons for both individual and mass destruction. It is to the point now where we, as a culture, devote endless hours of cable and satellite television time to what are nothing more than thinly disguised commercials for weapon systems development and the “practical” uses of those weapons. In our current times, such thinkers and seers as Tobias (via Geoffrey Hoppe) and author Eckhart Tolle show the way toward a new consciousness and a New Earth. The New Earth, at its core, exemplifies a spirituality whose hallmarks are peace, love and compassion, for one’s self, our fellow humans, our earth and finally, for All That Is. If we draw on the wisdom of the ancients, we will learn again, that “thought creates”. If mass consciousness creates war and disrespect for our living earth, individual consciousness, focusing on the goodness in us all, can create at a far more powerful rate. If “like attracts like”, as the universal Law of Attraction so aptly tells us, we “mere mortals” have the power to not only change the world, but to shift mass consciousness and thus, the structure of the universe. 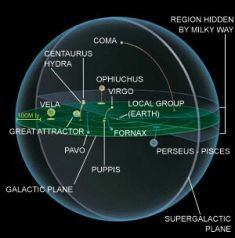 As Nancy Clark, PhD, Director of Intuitive Energy Healing in Tucson, Arizona told me in a personal interview several years ago, our earth is rapidly “moving” to a point where it will be near, if not at the center of the Milky Way Galaxy. Scientists will point out that earth is nowhere near the creational center of the universe, as defined by the cosmic location of the Big Bang. Meta-physicians, such as Nancy deal in a multidimensional universe where the “center” of either our galaxy or even the universe may or may not co-locate with the scientific topological center. In my theory, I extrapolate from Nancy Clark's work to say that perhaps we here on Earth are nearing the center of All That Is. Scientists have studied the one-dimensional “energy strings” of string theory out to the point where they hypothesize several, if not many compressed (zip-filed?) dimensions. Unlike normal matter, these compressed dimensions hold enormous mass, but remain invisible to observers in a three dimensional time-space reality (3DTSR) such as ours. In similar fashion, we cannot detect “The Great Attractor”, either visually or electromagnetically. If thoughts emanate as energy, then they have mass. If humankind has placed untold numbers of thoughts out there in the universe, seeking God, is it not possible that we have indeed created the mass of “The Great Attractor”, itself? Is it possible that we here on earth are now engaged in a dance with “The Great Attractor”, where we mutually rush headlong towards a melding with each other? Are we zooming towards it or is it zooming towards us? If thought travels instantaneously, rather than at the old and slow “speed of light” can our thoughts and aspirations of a higher order bring a universal convergence of consciousness whenever we, individually and collectively decide that, “it is time”? If we were to allow this change in our thinking, might we indeed create a New Earth at any time we individually and collectively decide to do so?